This article is 186 days old. 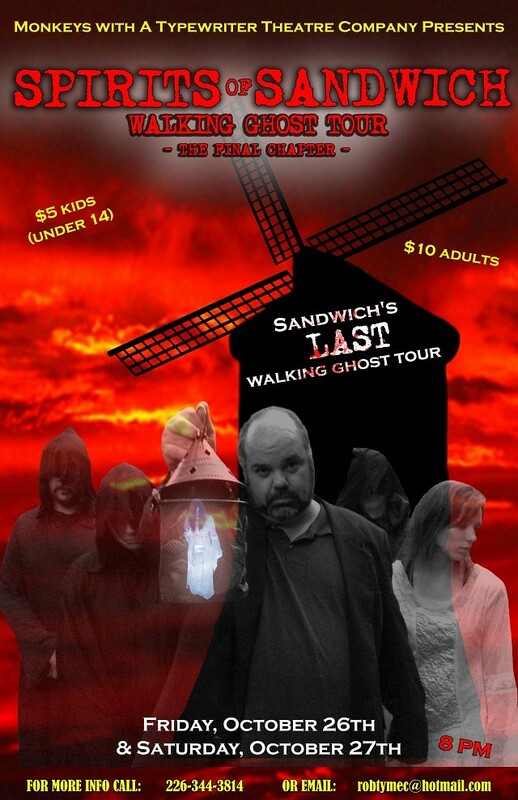 After a decade of scaring and educating the public, the Spirits of Sandwich Walking Ghost tour is coming to an end. Friday, October 26th and Saturday, October 27th will be your last time to experience what has become a Sandwich Towne Tradition. To commemorate the occasion, a special “greatest hits” version of the various scripts they have used throughout the years has been put together. The tour begins at the parking lot of MacKenzie Hall at 8pm on both evenings. Admission is for $10 adults and $5 for kids under 14.